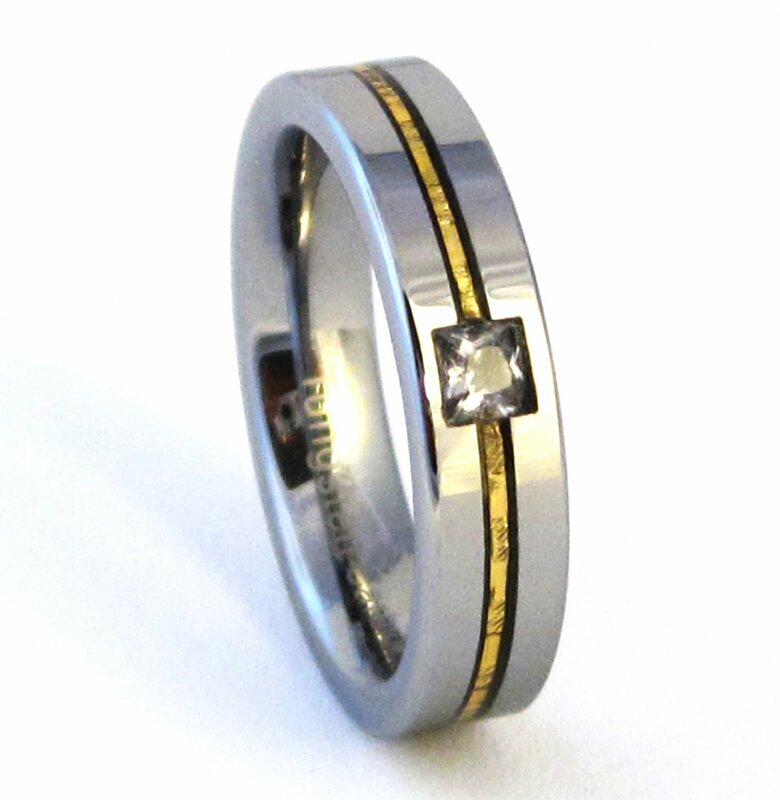 This beautiful two tone high polished tungsten carbide wedding band features a gold stripe grooved through the middle of the ring finished with a square sparkling clear CZ. This ring is lasered "Tungsten Carbide" on the inside of the band. Prior to ordering, if you are not sure of your ring size please visit your local jewelry to obtain it. Our rings are measured using the USA/Canada ring sizing method.